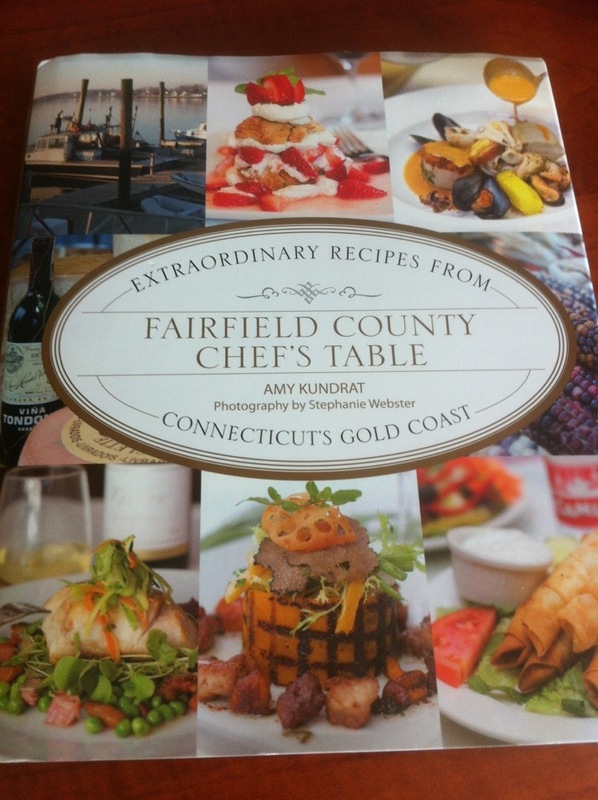 Amy Kundrat’s newly released book, Fairfield County Chef’s Table: Extraordinary Recipes from Connecticut’s Gold Coast, with photography by Stephanie Webster, offers a unique, up-close and personal glimpse into the southern Connecticut food scene. Kundrat’s book isn’t just a where-to-eat guide to Fairfield County, instead she has compiled over 200 color photographs of restaurants, the chefs, and their dishes along with their recipes so you recreate the diverse and vibrant dining scene that thrives in Fairfield County in your own home. If the names Amy Kundrat and Stephanie Webster sound familiar they should with both ladies at the helm of the ever popular website CTbites.com; Webster is the founder and editor-in-chief and Kundrat is the executive editor. As a native to Fairfield County, I couldn’t agree more with Kundrat’s description of the area in her introduction as “Connecticut’s undisputed culinary capital.” From Greenwich to Bridgeport and beyond, Fairfield County offers a spectrum of culinary adventures unmatched by any other area of the state. Influenced by the area’s unique location within a short distance from New York City, and with farmland in the northern part of the county and the seacoast to the south, Fairfield County offers a dining scene that is up on culinary trends, supports local farmers, fishermen, and artisans, and donates to those in need through several food charities. Beyond the thoughtful introduction painting an accurate picture of Fairfield County (so much so that you might find yourself nodding in agreement with Kundrat’s description), the book is organized alphabetically by restaurant name and includes a background of each establishment and chef (or chefs) followed by a recipe or two along with several color photos. 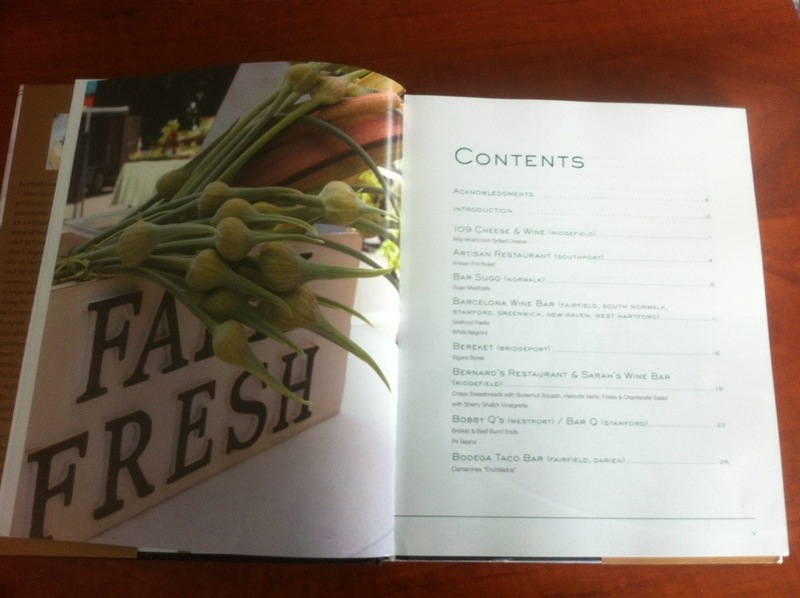 In between featured restaurants the book often highlights local farmers, fishermen, and artisans with names you might recognize such as Patti Popp of Sport Hill Farm (Easton), Norm Bloom and Sons, and Red Bee Apiary (both of Norwalk) who also play a crucial role in helping produce the outcome on your plate. These “food features” as I like to call them, are a pleasant find and really encourage you to read the entire book so you don’t miss these smaller highlighted sections. What differentiates Fairfield County Chef’s Table from a typical cookbook, in addition to the amazing recipes included from each chef, is the attention and care given to the information and background story included about each establishment. Furthermore, you will not find an equipment section or a breakdown by ingredients or seasons. Instead, a table of contents and index help to guide you to your favorite recipes. Each recipe includes an ingredients list followed by detailed step by step instructions and a photo or two. Whether you’re a novice cook like me or much more experienced in the kitchen, the recipes offer a range of tastes and complexity that would appeal to many. I myself have started putting sticky notes on recipes I plan to try and restaurants I plan to visit! Fairfield County Chef’s Table: Extraordinary Recipes from Connecticut’s Gold Coast, by Amy Kundrat with photography by Stephanie Webster. Published by Lyons Press (an imprint of Globe Pequot Press, ISBN 978-0-7627-8641-1). You can find the book at Barnesandnoble.com or amazon.com for $24.95. Disclaimer: A review copy of this book was provided by the publisher, however all included herein is expressly my own opinion.